There are many options over which route to take from England to South Africa. The first decision is either the East coast or the West coast of Africa. In the ideal world, if time was no restriction, then you would go in a complete circle and drive down one side and back the other. Due to the issues that there are within the central countries of Africa (Congo, Central Africa Republic and Chad), crossing from West to East is not ideal. This made our choice even easier as we really want to visit Kenya, Uganda and Tanzania. So the East coast was decided, as the side we would travel. Even with this choice made, there are still so many options and choices to make; from where you enter Africa, the countries you visit, the roads you travel, including the places and highlights to see. We were originally planning to enter Africa via Tunisia and a ferry from Italy. This meant then travelling through Libya and into Egypt. The reason for this was so we went from the very top to the very bottom. However due to the need for more flexibility in departure date we have had to alter the plans and go via Europe. Both the Italy to Tunisia Ferry and the requirement for a tour guide in Libya meant expensive commitments needed to be made that we couldn’t justify. 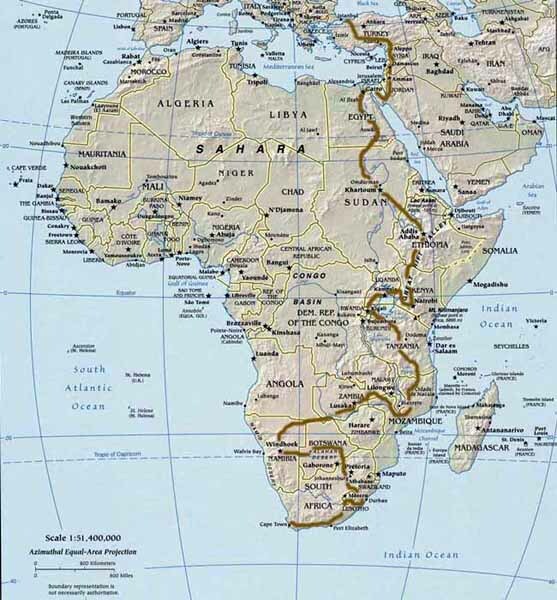 We have decided to travel through Europe, into Asia (Middle East at least) and then across to Africa, making this a 3 Continent overland adventure! 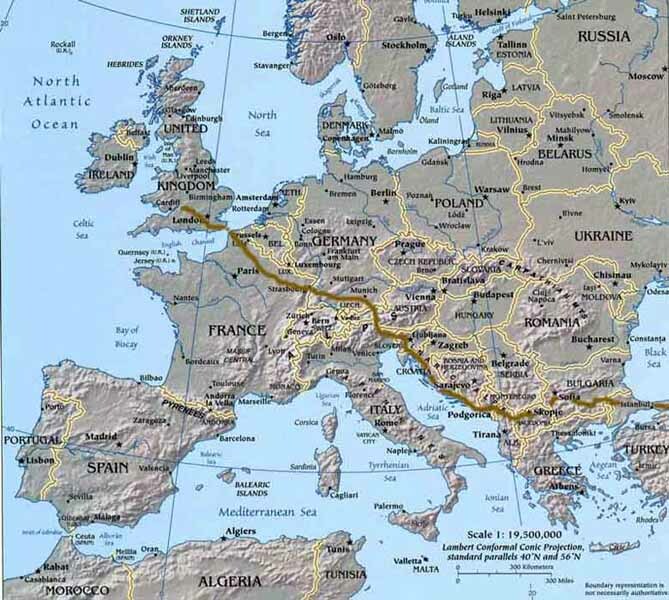 The plan is to meander through Europe, spending time in Slovenia and Croatia before a longer spell in Turkey. 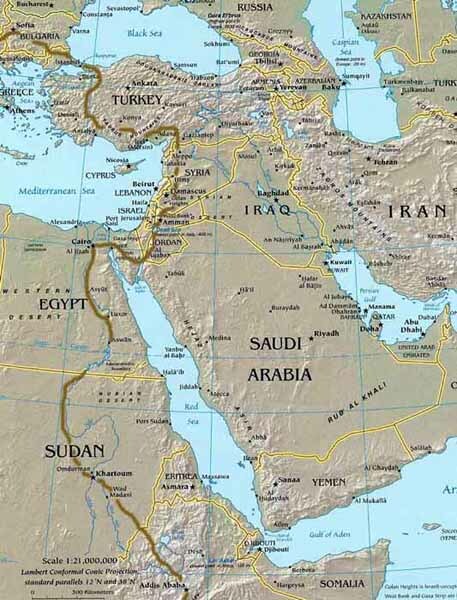 This route through Europe then means that we go through Syria and Jordan before catching our second ferry across to Egypt. The plan is to spend just over a month of our trip to get into Africa and then we will begin to slow down to almost a month per African country, allowing us to enjoy the place and the people more. At no point are we planning to get a clear route about what roads and towns to visit as this takes away the flexibility. A week before leaving and we still couldn’t give you a clear idea of when we are planning to be where. But this is what an expedition is meant to be about, not really knowing where it’s going to take you and how long your be there for. What we do know is that the final destination is Cape Town and that we want the final adventure to take us along the Garden Route (coast road along the bottom of SA). If you look at the attached maps and the list of countries to the left you will get a clearer idea of the actual route and order of the countries we are visiting. Details of each country, mainly African, are available to give an overview of each, with a little travelling information included for good measure. Below is a map of our actual route. The Google Map includes just the locations of our accommodation and therefore each pin is somewhere we slept. If you would prefer to view in Google Earth or another application then please select the link below. We have also provided a link below to a document that contains all of the waypoints, description and cost of each accommodation. InSearchOfAfrica Trip (KMZ file) for Google Earth - Downloads as a compressed file, un-zip and open.